Its looks like the goalkeepers we are now getting at J4K are getting even younger! Check out picture below! This is the new addition to the J4K family! 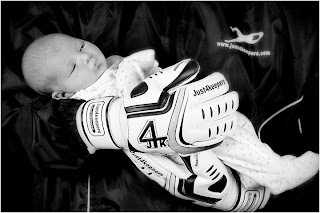 May we all wish Paul Whitfield (J4K North Wales) a BIG congratulations with the birth of his baby girl, Holly. This is a great picture of J4K coach and legend Jim leighton who is the current goalkeeper coach for the scottish National team! Also great to seeing him wear the J4K gloves! Trying to pick correct goalkeeper gloves in Ireland is becoming a very tough decision because of the amount of goalkeeper brands now hitting our shores. 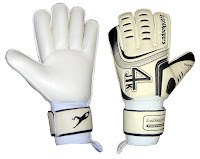 Most goalkeeper gloves you now see are generally very good but you have to make sure you do not buy the wrong pair as it might end up costing you many many goal's! So you need to pick the right pair for you!!! Recently a GK contacted me because of a nightmare game he had! The pitches had been wet for weeks, so he was playing in his soccer boots with studs. However after 3 weeks off through no games he played again this weekend. He took his normal boots but because there had been no rain, the ground was solid. He explained to me he was in that much pain wearing these long studs on the hard ground he could hardly move around in his goal and thus conceeded 4 sloppy goals! The moral of this story is fellow goalkeepers, is be prepared! If you can and finances allow it, always take a 2 pairs of goalkeeper boots to a game. One with studs (for soft ground) and the other pair blades or moulded studs (for hard ground). This way, you can wear the boots that best suit the playing surface. Now most goalkeepers take at least 2 pairs of gloves to soccer games to combat different playing conditions, and boots should be no different. SO BE PREPARED! Especially if you are playing on grassroot pitches like we get here in the UK, which are a disgrace! You never know what the playing surface is like until you actually get to the venue! I hope this quick tip helped? I have to drop you an e-mail as I feel I owe you an apology - usually I believe the old adage about "if something appears too good to be true, it usually is" was invented for a very good reason; and is something I have learned to believe in. And so I must admit, when you offered to sponser my son's gloves I was somewhat sceptical - there was part of me that thought that either there would be some excuse made about giving away the second pair free, or that the gloves would be such a poor quality that they weren't worth having. But, oh my God, was I so wrong! I placed our first order yesterday morning for one pair of the Reaction gloves - I purposely ordered your cheapest pair first, just in case the sceptical side of me was right - and am now totally amazed. Not even 24 hours after placing the order, my postman has just delivered my son's gloves - not the one pair I had paid for and was half expecting, but the two pairs you had promised him. I was even more amazed when I actually took them out of the bags and discovered that they weren't cheap, tacky, second-rate gloves, but were of a quality just as good, if not better, than the Puma gloves my son normally wears and which cost almost double the price! I was totally wrong about you and your offer of sponsorship, and for that I offer you my sincere apologies - it makes a refreshing change to find someone that does what they say they will, and are not out just to make as much for themselves as they can. You're a true gentleman! I now look forward to enrolling my son in one of your coaching schools, and of spreading the word of your company and its fantastic offer to all other goalkeepers we come into contact with. And I will most definitely be placing another order in the near future - this time, for the gloves my son actually wanted! Thanks again for agreeing to sponsor my son, and for a fantastic, first-rate service offering quality gloves at an unbelievable price. Once again, please accept my apologies - I was totally wrong! Would you like FREE Goalkeeper Coaching in Blackpool and become the next Just4keepers success story! 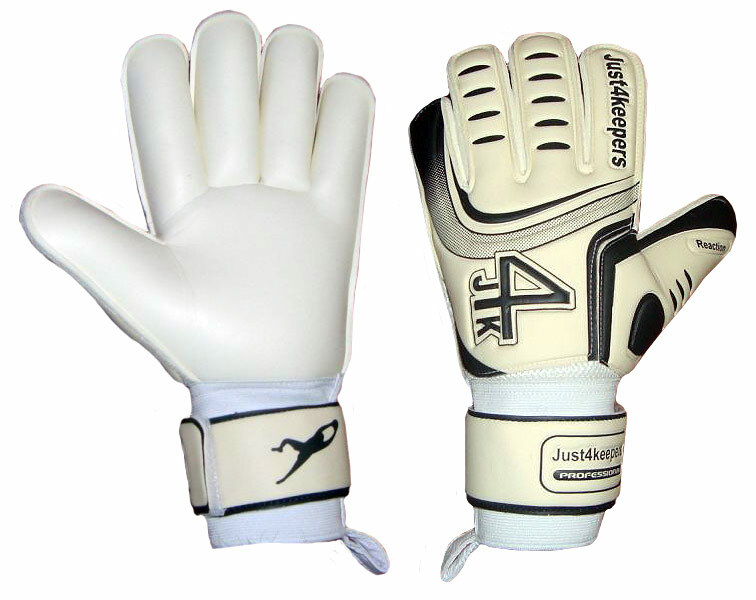 In 2011 J4K has already helped 10 of our students gain trials at professional soccer clubs and with our unique goalkeeping programe, we could maybe help you? 5000 goalkeepers trust J4K every week with our coaching, so why not pop along to our Blackpool Goalkeeper Training clinic and see if J4K can help you. Over the years J4K has had a very close relationship with an amazing school, Penketh High. Well done Sue and the brillant pupils of Penketh high! For the guys who want to become a professional goalkeeper, please check out the FREE website that can aid you!